Fix-A-Floor is a simple do it yourself repair that is fast, easy and affordable not to mention fun and quite rewarding to anyone who can operate a drill, caulking gun and mix up a small batch of grout. Works on all sub-floor materials. Just Drill & Fill! The Tip of the 10.1 oz. 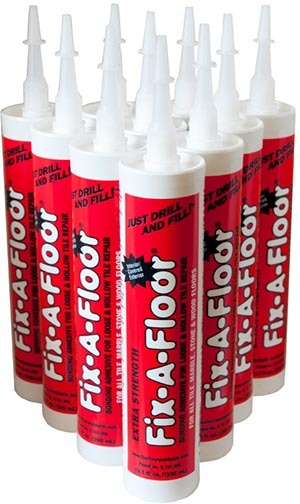 Fix-A-Floor tube has been specially designed and engineered with a pre-drilled 1/8" hole for the sole purpose of filling drilled holes in loose & hollow tile, marble, stone & wood floors. The Tip is extra firm and allows for a strong seal which promotes good flow and complete coverage. The 1/8" pre-drilled tip allows for use in narrow grout line applications or wider. It has marked lines showing clear cut points of 3/16", 1/4" or any other size you may need. "Oh my goodness! Your product is amazing!!! We had multiple tiles in our 45 year old kitchen that were sounding hollow. Several contractors were certain that we would have to completely remove the tiles and re-cement and grout them-at a significant cost of course. We found your demonstration on YouTube and decided to give it a try. WOW! It has been a month now and our floor is "completely healed!" at a fraction of the cost! Thank you Fix-A-Floor! Your product is off the charts incredible!" "This has to be the best stuff on the market to repair crunchy hollow sounding tiles. We had a roof leak last year and noticed that the tiles in our family room were becoming crunchy and noisy. Water had seeped under the tiles and lifted them from the base. I looked up on Google about repairing tiles that had lost their grip and was astonished to find out that we would have to replace all the tiles that were bad. We had 32 bad tiles and couldn't imagine paying $3,000 to repair the floor, never mind not being able to match the tiles. I found FIX A FLOOR and we watched the video. We bought two lots of 12 and we have already used 12 tubes to fix the worst tiles; there were 8 of those. Fixed floor in no time." "I had some loose kitchen tiles with cracked grout. Fixed the grout first and then let it dry for a few days before drilling the holes. This works exactly like in the videos I watched. I was amazed how much glue went under the tiles before oozing out of the holes. You will definitely use more product then you think and it is messy but very easy to clean up. It is very easy to use. Also, used some on my loose wood floor! 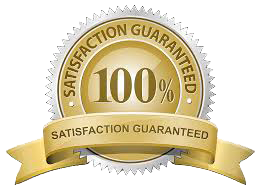 I highly recommend this product." Used by professionals for years, now YOU can fix your loose & hollow, squeaky floors with Fix-A-Floor!!! Fix-A-Floor is Non-Toxic, Non-Flammable & Eco-Friendly! 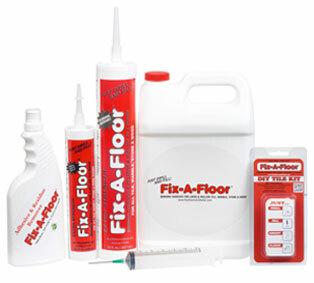 Large problem area or small problem areas are no problem with Fix-A-Floor! Guaranteed for the life of your floor!